Chinese pollution control actions have affected all metal foundries, some cast iron and cast steel foundries have been closed. Current situation is not good! 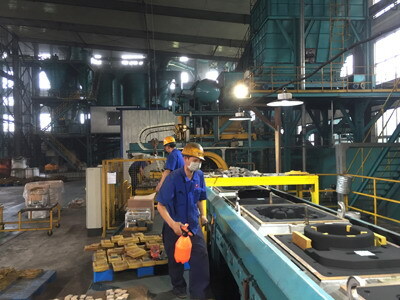 Recently, many clients have visited our dandong foundry. They said their current suppliers in Hebei and Ningbo can not produce for them any more, because of the environmental protection requirement by government, so pollution control has affected these foundries seriously. 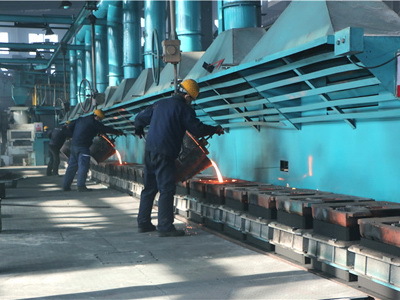 As we know, because of the air dust problem near Beijing, our government has very strict and high requirement to the cast iron foundries in Hebei province, so many foundries have to improve their production and pollution control equipment. Many small foundries have no capability to buy these equipment, so have been closed step by step. Our government has strict pollution control to cast steel foundries too, many steel foundries are using the traditional water glass investment casting process, which is not environmental friendly. So, the cast steel production has been controlled and affected. Some small foundries have to stop the production. Besides of these factors, all casting production materials have been controlled too. Pig iron, foundry sand, alloy materials, all the related materials have been affected, some small material suppliers have been closed, so only large suppliers are keeping running. Their prices are much higher than before. How about our foundry running? Currently, our Dandong Foundry is running well, although the material prices have affected our production costs, but at least, we could keep normal production now. Our clients asked us how long we think we could keep the normal production. I think we should be able to keep running at least several years. We answered basing on two reasons. Firstly, metal castings are the important products for all industries, the most of metal castings can not be replaced by forging or fabrication processes, so you need metal castings, all industries need metal castings. If our government close the most of foundries, then it will affect all industries. The loss will be huge. So, our government must make some foundries alive. Secondly, our dandong foundry has used electrical furnaces for many years, our workshop has been improved for dust control, we have used advanced molding machines and shell molding equipments, so we are not traditional foundries. Our foundry will keep investment to advanced production and pollution control equipment.